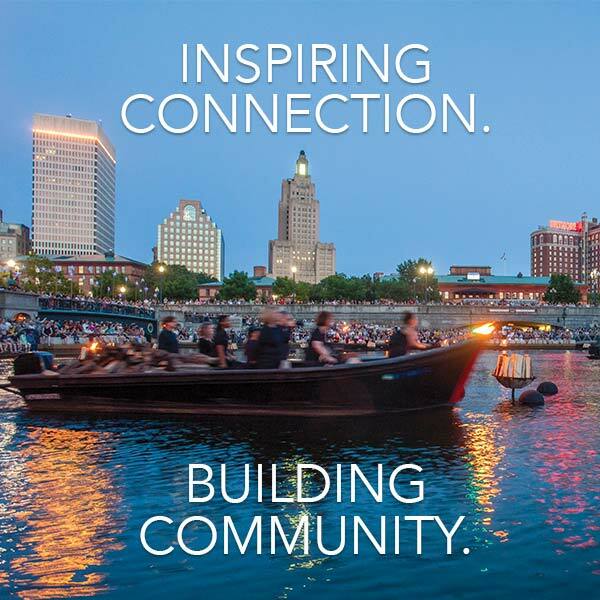 WaterFire Providence presents the first full lighting of the 2014 season. This event is scheduled to take place on May 24th, 2014 and is sponsored by the Brown Alumni Association, Brown University’s 250th Anniversary, and Bank of America. The lighting is scheduled to begin at 8:07pm and is set to run through a little after midnight. At 8:30pm we will be playing Echo Taps by the United States Army Ceremonial Band to honor all military personnel and veterans this Memorial Day weekend. There will a wreath laying ceremony Memorial Park. Military personnel veterans and their families are encouraged to attend. The evening’s music program includes dedications to two Providence residents. At 8:59pm will we be playing an excerpt from Sunny by Cher followed by Prabahti by Ravi Shankar & Yehudi Menuhin in memory of Sunil Tripathi an Brown University who passed away in last year. Later in the evening at 11:13om we will play The Ice and Snow Haunt Me Still by Brown Bird in memory of local musician David Lamb who sadly lost his battle with leukemia earlier this year. Please join us in honoring the memory these two young men. Providence misses them greatly. This music program is available as a collection on iTunes. Many of the songs on the WaterFire Providence soundtrack are available for purchase on iTunes. Click on the title of one of the songs to purchase and download that track from iTunes, a portion or each purchase is returned to WaterFire Providence. Get the May 24th music program as Spotify playlist.